Despite losing last night’s Presidential election, Hillary Clinton still made history. No matter your political leanings, the fact Clinton was America’s first female major-party nominee for president is, if nothing else, a welcome symbol of inspiration for young girls and women. Despite this tremendous milestone, there’s still a long way to go to ensure young women have the same opportunities as their male peers. Last week, we reported on the huge disparity between male and female school superintendents in this country. But gender disparities, be it in pay or hiring or both, aren’t limited to school leadership. Similar divides exist in countless professions. As education professor and women’s rights advocate Lyn Mikel Brown points out in Education Week, women need, and deserve, a louder voice. And schools can play a critical role. For instance, Brown suggests that schools encourage female student activism and engagement. Empowering girls and young women to organize around and fight for the issues they care about inspires confidence and creates life experiences, she writes. Does that mean your school should tolerate student sit-ins, protests, or picket lines? University campuses are fertile grounds for such demonstrations. In K12 schools, there’s a fine line between productive demonstrations and academic disruption. Fortunately, Brown says there are ways to encourage girls to speak up and fight back against perceived injustices in a way that enhances, rather than interrupts, learning. Want to empower student voice through advocacy? 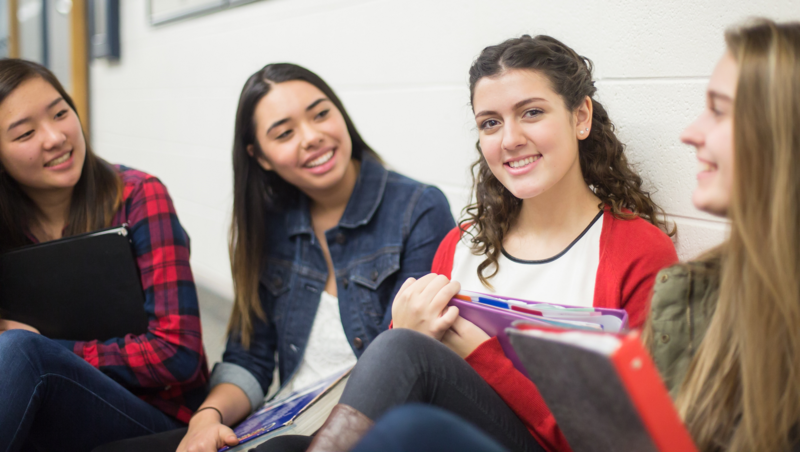 Here are three reasons to encourage, even actively promote, a healthy dose of student skepticism and activism in your schools. Our schools can be a place for girls and boys to develop and advocate for solutions to real-world problems. No matter the size of the issue, schools should encourage students to respectfully fight for rights and changes they believe in. Do you encourage student debate in your schools? Do you invite feedback and actively include student ideas or suggestions in your decisions? You should. When students begin to develop strong personal voices, they become examples for their classmates, especially those who are afraid to speak out. Effectively and respectfully speaking out also helps students foster confidence and stronger self-awareness. Research has shown that these traits are useful for standing up to bullying and other forms of abuse. At its best, experts such as Mikel Brown and others say student activism gives students the ability to make real change. Classroom learning and simulations are great. But real-world experiences are the lifeblood of successful leaders. “Through activist work, girls learn to lead by actually leading and fully participating in what matters from the ground up,” writes Brown. These are all skills future teachers, school superintendents and presidents need. If we want to promote stronger voices in our society, school districts need to encourage confident student voices in our schools. Schools also need to put the right systems in place to ensure those voices are heard. What steps do you take to encourage student voice and advocacy in your schools? Tell us in the comments. For more on giving students a strong say in their education, read How student voice inspires leadership.